The year was 1968, when two bitter rivals were set to square off in series of public showdowns. Audiences tuned in by the millions and no, it wasn't for sport. 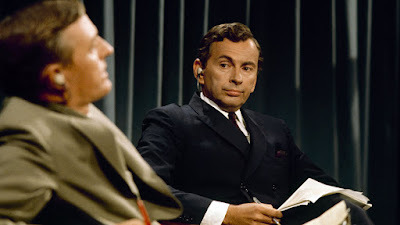 These celebrated TV personalities were William F. Buckley, Jr. and Gore Vidal, a pair of political pundits (among other vocations) and the subjects of "Best of Enemies". This riveting documentary follows a landmark series of televised debates between these two intellectuals which changed television forever. Armed with nothing but strong conviction and knowledge about their sociopolitical ideologies (Buckley was a conservative, Vidal a liberal), they remarkably captivated audiences then, and now with this sterling documentary. As we learn about their decades long feud in beguiling detail, the film provides a stark reminder of the degradation of American culture, a rebuke to the Donald Trumps and their platforms of buffoonery. There's a pivotal moment in Asif Kapadia's "Amy" that basically encapsulated the film in a nutshell. The super-talented Amy Winehouse has just won the Grammy for Record of the Year, a crowning achievement for any artist. Her best friend calls to congratulate her and Amy responds, "This is so boring without drugs." 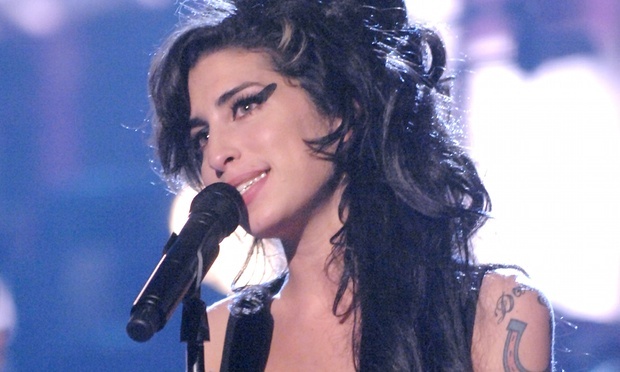 Like an emotional punch to the gut, the immense tragedy of the Amy Winehouse story instantly hits home. Indeed, as we relive the highs and lows of a life filled with success, the overwhelming pressures of fame, and substance abuse, Kapadia makes us feel like we've lost a friend of our own. "Amy" is intimate, compelling and utterly devastating. 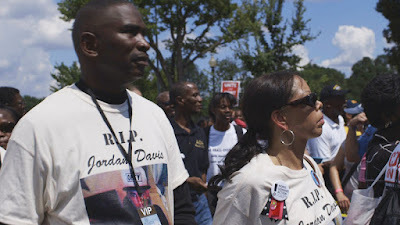 Sadly, the murder of unarmed young black men has become so commonplace in America, that the story of Jordan Davis may have been forgotten by some. But with his latest documentary "3 1/2 Minutes, 10 Bullets", Marc Silver endeavors to ensure his murder was not in vain. Following the aftermath of his tragic death at the hands of a man named Michael Dunn, the film puts a razor-sharp focus on the trial and the pursuit of justice. Of prime concern is Florida's appalling stand-your-ground law and the racial prejudice it allows, which Silver unravels to maddening effect. The result is a powerful, yet hopeful call to action that supersedes mere filmmaking. I remember reading about this film after its warmly-received premiere way back at Sundance 2015 and thinking it would be just another run-of-the-mill artist profile. But boy, was I wrong! Stevan Riley's "Listen to Me Marlon" is truly one of a kind, providing the rare opportunity to learn about the life and work of a renowned talent from their own words. And Brando surely doesn't disappoint, delivering a eloquent examination not just of himself, but the art of acting in general. Making it all the more impressive is Riley's terrific direction, which finds the right balance of tone through his astute use of sound and image. 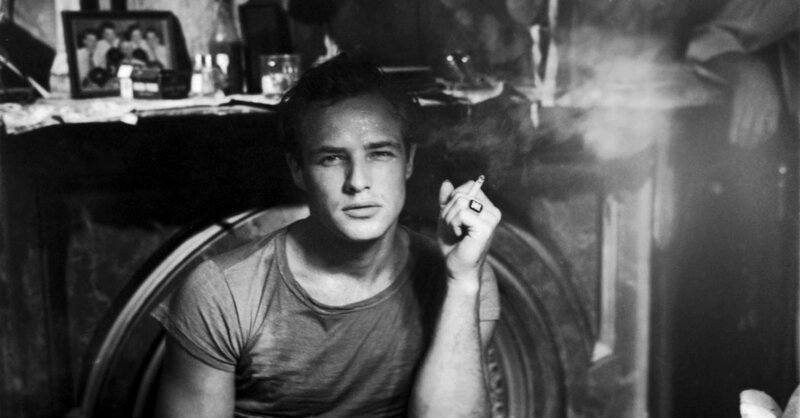 As brilliant as the man himself, "Listen to Me Marlon" is a fitting tribute to the man often referred to as the greatest actor of all time. Just two years after "The Act of Killing" made us weep for humanity, Joshua Oppenheimer is back with another soul-crushing look at the Indonesian genocide. In this follow-up, Oppenheimer once again dives headfirst into a thorny situation (to put it mildly), bringing together survivors for confrontations with those who brutally killed their loved ones. To be honest, I was a bit numbed to the film, as much of the disturbing psychologies of the perpetrators had already been thoroughly explored. But by focusing more on the victims this time around, the film does provide a new and vital perspective. In addition, it drops a real bombshell in its implication of America in these crimes. As such, it's a film that asks all the right questions and provides some tough answers that we all need to hear. We usually go into documentaries with hopes of learning something new. Rarely we do we expect to use the word "relatable" when describing non-fiction. But when I sat down to watch the surprise gem that is "Meet the Patels", I felt like I was almost looking at the lives of myself and my closest friends playing out in front of me. In the film, Indian-American Ravi Patel searches far and wide to relieve the pressure from his parents to find a wife, having to endure the traditional matchmaking practices of his Gujarati heritage. And as someone with a close group of Indian friends undergoing the same pressures - in addition to my own experiences - this highly entertaining film was mostly a confirmation of what I already knew. But what really makes the film so great and universal are its colorful characters, endearing storyline and creative filmmaking. Forgot what else you've heard. "Meet the Patels" was the romantic comedy of 2015. If countless films are to be believed, the war on drugs is one that cannot be won. But that won't stop us from trying, as is evident in the mesmerizing documentary "Cartel Land". 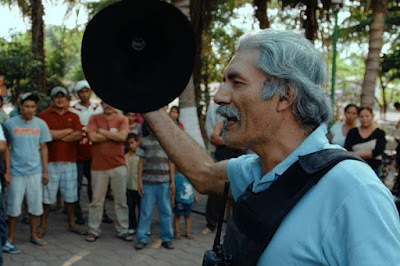 In this complex account of a civilian uprising against the scourge of the Mexican cartels, an unlikely vigilante - a medical doctor named Jose Mireles - emerges as one of the most fascinating subjects of this year's documentaries. Indeed, director Matthew Heineman charts the rise of a "hero" worthy of his own cable drama, complete with unexpected plot twists that will pull the rug out from under you. Admittedly, the film's conclusions are hardly revelatory, and the narrative also includes a completely unnecessary subplot (American vigilantes on the other side of the border). But with this unique character study approach, Heineman provides another vital addition to the pantheon of drug war films. 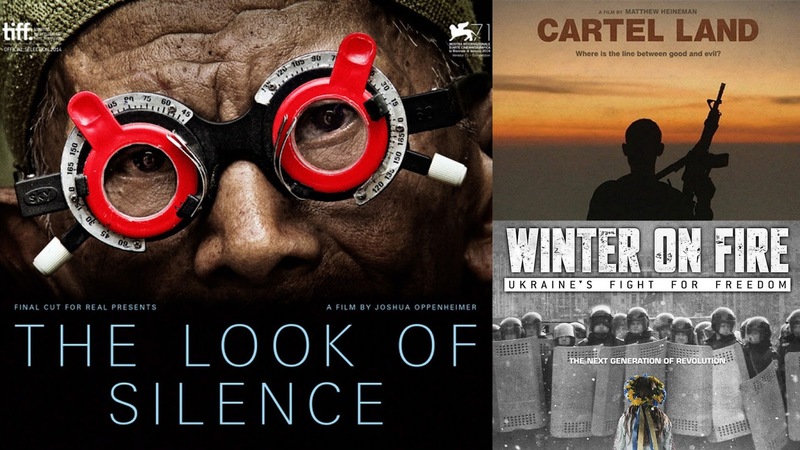 One of the best things about documentaries is their power to influence change in society. But few documentaries make you feel like you're part of a movement as you're watching it. That's the feeling you get as you witness the events unfold in Evgeny Afineevsky's "Winter on Fire: Ukraine's Fight for Freedom". 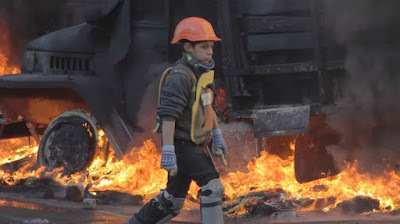 As its title suggests, the film is about the civil unrest in Ukraine that grew into a full-blown revolution in 2014, ousting their corrupt president who opposed European integration in favor of an alliance with Russia. And as the protests grew increasingly violent, the cameras are there every step of the way to give you an immersive on-the-ground experience unlike any war documentary I'd seen before. It's hardly surprising that the film won the coveted People's Choice Award at the Toronto International Film Festival. As we watch the Maidan protesters come together with such tenacity and unwavering determination, their ultimate victory feels like it's shared with all of humanity. It's an incredible, awe-inspiring sight to behold. As the gun control debate rages on with no end in sight, documentaries like "The Armor of Light" are becoming increasingly important. 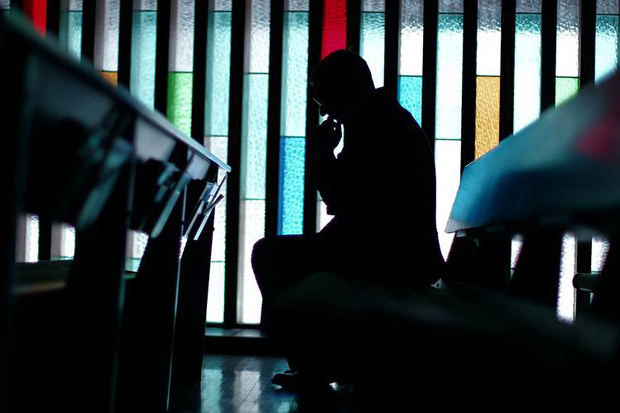 In her first outing behind the camera, doc producer extraordinaire Abigail Disney investigates one of the most troubling factions of the pro-gun lobby - evangelical Christians. Filtered through the perspective of one of its more enlightened and influential members (Reverend Rob Schenck, president of the National Clergy Council and chairman of the Evangelical Church Alliance), Disney approaches the debate from a fascinating angle, asking "how can someone be both pro-life and pro-gun?" In answering this question, she digs up some deep rooted beliefs that get to the heart of America's unholy obsession with guns. And with the aid of evocative imagery (see above) and a compellingly conflicted, deeply concerned citizen at the center, "The Armor of Light" is a passionate, thought-provoking and essential work. 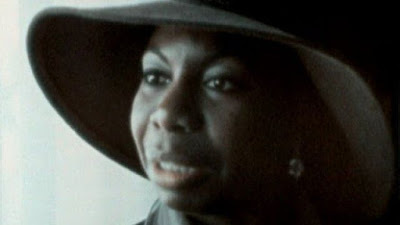 In a year filled with many outstanding documentaries about troubled artists from different mediums, "What Happened, Miss Simone?" stands tall. Chronicling the life of famed musician and civil rights activist Nina Simone, Liz Garbus' gives us perhaps the only biopic we'll ever need of the star. Brilliantly edited, the film pieces together footage from various stages of her tumultuous career and personal life to deliver a thorougly engrossing narrative that gives us a complete understanding and most importantly, an appreciation for her artistry and activism. Indeed, despite the film's solemn title and introduction, this is a worthy celebration of a true survivor who rose above her internal and external demons. Though the film is far from hagiography, I came away with nothing but admiration for this extraordinary woman, thanks to this enlightening, empathetic documentary. I almost streamed What Happened, Miss Simone? the other night. Now I really, really want to! The Look of Silence hit me hard. As a fan of Nina, I really want to watch your number 1 pick.